Have You Been Craving South-Indian Food Lately? Then Head Here! The food in Juggernaut is absolutely fantastic. 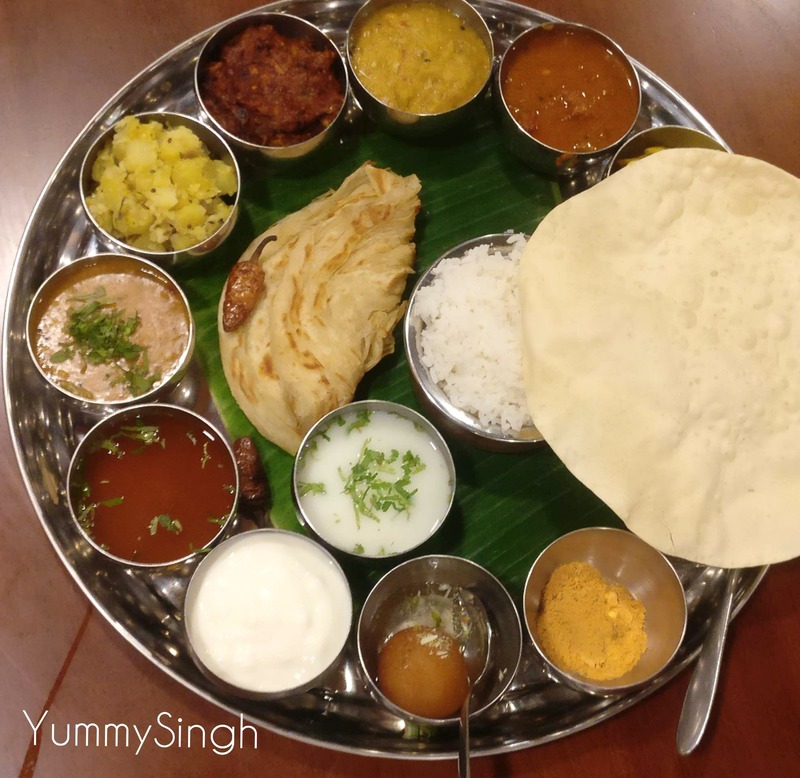 What we actually tried here is The Juggernaut Thali and the Chettinad curry with Malabari paratha. The thali is huge and the variety is enormous. Be assured that each and every item in the thali is simply delicious. One also must try their Chettinad curry, it's not very spicy and is a great combination with the flaky and soft paratha. The complimentary Rasam and Papad swell your appetite for a nice south Indian meal. The place is also nicely lit and perfect for families. The service seemed to be a bit slow as the place is super crowded. But then food is terrific, so not much to complain.